Healthcare innovators from across the West of England assembled in Swindon this month as part of a programme that aims to potentially save the NHS millions by bringing the benefits of cutting-edge healthcare technology to patients faster. 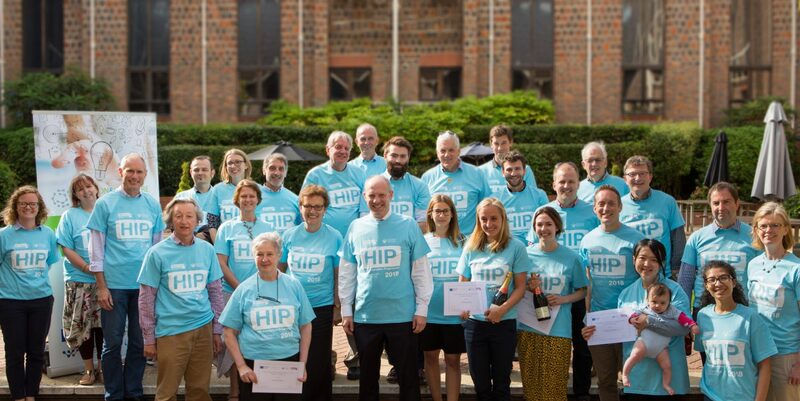 The four-day Health Innovation Programme for health professionals, hosted by SETsquared and the West of England Academic Health Science Network (AHSN), provided 17 healthcare ventures with an intensive course in taking innovations to market. The programme, which is now into its fourth successful year, covered topics such as how to conduct effective market analysis, develop funding strategies and build a compelling business case for potential investors. The final day culminated with an opportunity for delegates to pitch to a panel of investors and healthcare experts. This was followed by a prize giving attended by MP for North Swindon, Justin Tomlinson. Among the 17 innovators that took part this year was Dr Chen Mao Davies, founder of LatchAid, a breastfeeding support app that uses Augmented Reality to help new mothers learn and improve their latching-on skills. SETsquared, the world’s number one university business incubator, joined forces with two Academic Science Networks in 2014 to create a revolutionary new programme that could see more effective and better value healthcare technologies benefiting patients quicker than ever.